Starlight U.S. Multi-Family has purchased three American properties for two of its funds, and completed the initial public offering for its Value-Add No. 1 fund. Two of the purchases, made for the Starlight U.S. Multi-Family (No. 1) Value-Add Fund (SUVA.A-X) are in Round Rock, Texas and in Phoenix. They include 943 multi-family residential suites for a total purchase price of US$154.8 million. The purchases were funded through cash from the fund No. 1 IPO as well as new first mortgages worth US$105 million. 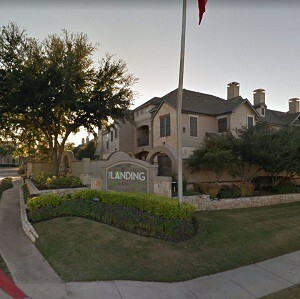 The Landing at Round Rock is located 30 kilometres north of downtown Austin at 7711 O’Connor Rd. It contains 583 suites in 44 three-storey apartment buildings on a 33.2-acre site. The apartments range from one to four bedrooms. The site contains a central clubhouse with aerobics centre, games/billiards room, day spa, basketball and tennis court and a business centre. The property also contains four swimming pools with a lazy river, recreational trails and more. It will be managed by Roscoe Properties of Austin, a regional firm which currently manages 14,000 apartment suites in Texas. Spectra South is a 360-apartment site comprising 19 three-storey buildings located 32 kms north of downtown Phoenix at 20425 North 7th St. The apartments range from one to three bedrooms. The 11.3-acre site also features extensive amenities, including fitness and aerobics centre, day spa, Starbucks coffee bar, 32-seat cinema room, resort-style swimming pool and outdoor lounge, water playground and more. This property will be managed by Alliance Residential Company, which manages more than 99,000 apartment suites in the U.S., including nine Starlight communities. The same day the purchases were announced, Starlight also said it had completed the Fund 1 offering, raising approximately Cdn$86.1 million. The offering was made through a syndicate of agents, led by CIBC. Starlight president and CEO Daniel Drimmer, along with Michael Potter and Alon Ossip were also announced as purchasers of blocks of units. Both Drimmer and Potter, through subsidiary companies, acquired “beneficial ownership” of 500,000 class-C units at a price of Cdn$10 per unit. Ossip acquired “beneficial ownership” of 250,000 class-C units at Cdn$10 per unit. Fund 1 was established “for the primary purpose of indirectly acquiring, owning and operating a portfolio primarily comprised of value-add, income-producing, multi-family properties that can achieve significant increases in rental rates as a result of undertaking high return, light value-add capital expenditures and active asset management . . .” according to a Starlight release. The properties are located in Arizona, Colorado, Florida, Georgia, Nevada, North Carolina, Tennessee and Texas. The previously announced purchase of another apartment community in Phoenix, located at 20435 North 7th St., has been completed. Starlight purchased this 275-unit, class-A, garden-style community for approximately US$50.7 million for its U.S. Multi-Family (No. 5) Core Fund (STUS.A-X). The complex was constructed in 2012 and consists of 18 two- and three-storey buildings. Interiors include energy-efficient appliances, walk-in closets and nine-foot ceilings, while other amenities include 120 garages, Blink EV charging stations, a resort-style swimming pool with outdoor cabanas, designer clubhouse, 20-seat cinema, coffee bar, fitness centre, yoga studio and more. This property will also be managed by Alliance Residential Company. Fund No. 5 now has interests in and operates a portfolio of 6,766 apartment units in 23 recently constructed, class-A stabilized, income-producing apartment communities in Arizona, Florida, Georgia, Nevada, North Carolina and Texas. Starlight is a privately-held real estate investment and asset management company comprised of approximately 110 employees. It currently owns and/or asset manages Cdn$7.5 billion in assets in Canada and the U.S., including some in partnerships with institutional investors and international family offices. Starlight has completed transactions worth more than Cdn$1.5 billion, involving approximately 63,000 suites, since its inception.